Each time when I see the Daring Bakers Challenge I was like my my these ladies can bake, month after month they whipp up things and they all look so delicous. 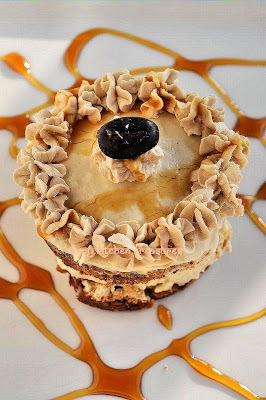 Every month I see what they have made, I will telling in my mind I should join them as I would love to bake special cakes, desserts like they doe. But each time I chickend out. 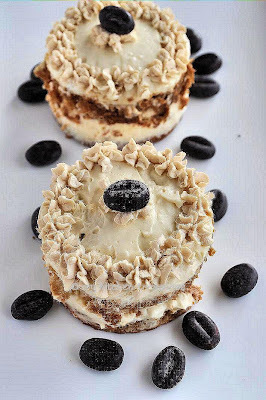 I will be saying to my self, what if I cannot make these cakes they make or some excuse I will make. But then last month I told to myself I should join them and before I could discuss in my mind all the pro and con I just went to their website and joined up. I really enjoyed making my first challenge and I am sure looking forward to the next month. Well I am really glad I joine dthe group this month. As this months hostes were Deeba from Passionate about baking and Aparna of My Diverse Kitchen. It was Tiramisu and not the usual tiramisu. I have never made any cheese and I was really curious how the end results will be. Have to say no more supermarket bought mascarpone as this was really easy to make. For the zabaglione: Heat water in a double boiler. If you don’t have a double boiler, place a pot with about an inch of water in it on the stove. Place a heat-proof bowl in the pot making sure the bottom does not touch the water.In a large mixing bowl (or stainless steel mixing bowl), mix together the egg yolks, sugar, the Marsala (or espresso/ coffee), vanilla extract and lemon zest. Whisk together until the yolks are fully blended and the mixture looks smooth.Transfer the mixture to the top of a double boiler or place your bowl over the pan/ pot with simmering water. Cook the egg mixture over low heat, stirring constantly, for about 8 minutes or until it resembles thick custard. It may bubble a bit as it reaches that consistency.Let cool to room temperature and transfer the zabaglione to a bowl. 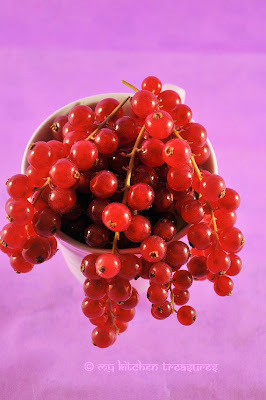 Cover and refrigerate at least 4 hours or overnight, until thoroughly chilled. Mix together the sugar, flour, lemon zest and vanilla extract in a medium heavy-bottomed saucepan. To this add the egg yolk and half the milk. Whisk until smooth.Now place the saucepan over low heat and cook, stirring constantly to prevent the mixture from curdling.Add the remaining milk a little at a time, still stirring constantly. After about 12 minutes the mixture will be thick, free of lumps and beginning to bubble. (If you have a few lumps, don’t worry. You can push the cream through a fine-mesh strainer. )Transfer the pastry cream to a bowl and cool to room temperature. Cover with plastic film and refrigerate at least 4 hours or overnight, until thoroughly chilled. Bring 1 inch of water to a boil in a wide skillet. Reduce the heat to medium-low so the water is barely simmering. Pour the cream into a medium heat-resistant bowl, then place the bowl into the skillet. Heat the cream, stirring often, to 190 F. If you do not have a thermometer, wait until small bubbles keep trying to push up to the surface.It will take about 15 minutes of delicate heating. Add the lemon juice and continue heating the mixture, stirring gently, until the cream curdles. Do not expect the same action as you see during ricotta cheese making. All that the whipping cream will do is become thicker, like a well-done crème anglaise. It will cover a back of your wooden spoon thickly. Preheat your oven to 350 F (175 C) degrees, then lightly brush 2 baking sheets with oil or softened butter and line with parchment paper.Beat the egg whites using a hand held electric mixer until stiff peaks form. Gradually add granulate sugar and continue beating until the egg whites become stiff again, glossy and smooth.In a small bowl, beat the egg yolks lightly with a fork and fold them into the meringue, using a wooden spoon. Sift the flour over this mixture and fold gently until just mixed. It is important to fold very gently and not overdo the folding. Otherwise the batter would deflate and lose volume resulting in ladyfingers which are flat and not spongy.Fit a pastry bag with a plain tip (or just snip the end off; you could also use a Ziploc bag) and fill with the batter. Pipe the batter into 5" long and 3/4" wide strips leaving about 1" space in between the strips.Sprinkle half the confectioner's sugar over the ladyfingers and wait for 5 minutes. The sugar will pearl or look wet and glisten. Now sprinkle the remaining sugar. This helps to give the ladyfingers their characteristic crispness.Hold the parchment paper in place with your thumb and lift one side of the baking sheet and gently tap it on the work surface to remove excess sprinkled sugar.Bake the ladyfingers for 10 minutes, then rotate the sheets and bake for another 5 minutes or so until the puff up, turn lightly golden brown and are still soft.Allow them to cool slightly on the sheets for about 5 minutes and then remove the ladyfingers from the baking sheet with a metal spatula while still hot, and cool on a rack.Store them in an airtight container till required. They should keep for 2 to 3 weeks. Have ready a rectangular serving dish (about 8" by 8" should do) or one of your choice.Mix together the warm espresso, rum extract and sugar in a shallow dish, whisking to mix well. Set aside to cool.In a large bowl, beat the mascarpone cheese with a spoon to break down the lumps and make it smooth. This will make it easier to fold. Add the prepared and chilled zabaglione and pastry cream, blending until just combined. Gently fold in the whipped cream. Set this cream mixture aside. Now to start assembling the tiramisu.Workings quickly, dip 12 of the ladyfingers in the sweetened espresso, about 1 second per side. They should be moist but not soggy. Immediately transfer each ladyfinger to the platter, placing them side by side in a single row. You may break a lady finger into two, if necessary, to ensure the base of your dish is completely covered.Spoon one-third of the cream mixture on top of the ladyfingers, then use a rubber spatula or spreading knife to cover the top evenly, all the way to the edges.Repeat to create 2 more layers, using 12 ladyfingers and the cream mixture for each layer. 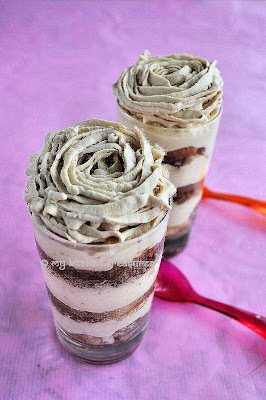 Clean any spilled cream mixture; cover carefully with plastic wrap and refrigerate the tiramisu overnight.To serve, carefully remove the plastic wrap and sprinkle the tiramisu with cocoa powder using a fine-mesh strainer or decorate as you please. Cut into individual portions and serve. This sunday it was just daughter and I at home. Normally on sunday's we go to my in laws place for afternoon coffee and cake. But it has been whole week of holiday and we have been going there almost every day, so we decided this sunday we will just enjoy at home with each other's company and indulge in something we love. Daughter dear choose what I was going to make for afternoon coffee. 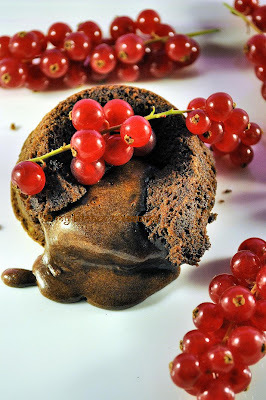 What do they say daughter is like mother,in this case she is, she has inherited my love for anything chocolate and this Molten lava cake is what she choosed. 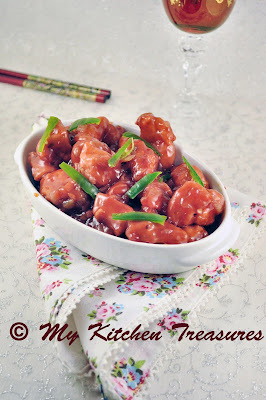 I have posted this recipe earler, so if you want to see the step by step picture click away. Preheat the oven to 170°c.Butter the pans.Melt the chocolate and butter in Bain marie. ( In a bowl on top of boiling water)Whip the eggs and yolks with the sugar till the mixture iturns white. Just straight from the oven. Look at that chocolate ooze. This was one bread which my daughter always ate when she was little, especially when we went for shopping and she was sitting in the pram. Those were the days I didn't make bread at home, so mostly I had to go to the bakers to buy bread and while we were in the bakers my daughter used to point to this chocolate bun and ask for it. So while i window shoped, did my grocerry shopping etc......she used to munch on these buns enjoying them fully. 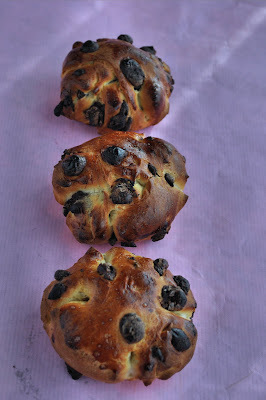 Few months back I bought this bread baking book and to my daughters delight there was the recipe for these buns. 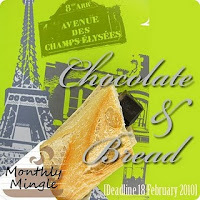 So as Jamie is hosting this months MM and her theme is chocolate in bread. I think next time i will less the oven temperature especially as my oven is conventional, they were a teeney weeney bit browner than I wanted. My bounty of Callebaut chocolate . I had promised priya I well send something for her valentine event so sending these heart shaped lollipos for her. I made this from Rachel Allen. According to my daughter they were really yummy, but I won't be making them anymore as it was such a sticky thing to make, I spilled sugar every where and had to clean up my whole kitchen. My fault i should have been more carfull. And my daughter remarked, what is there if you have to clean up, when the lollipops are tasting so good. Now thinking about it I should have left the kitchen sticky till my daughter came from school so she would clean it up as the lollipop was so tasty. Make the recipe for Basic bread I used the recipe for 8 pieces so below are the measurment for that. After the first 30 minutes raising of the basic bread, knowk the air down. Make the dough into a sguare shape, put all the chocolate in the middle. And mix the chocolate pieces into the dough till they are fully mixed evenly. Make the dought into a ball shape and keep them for raising in a bowl for another 30 minutes , cover the bowl with a towel of a plastic foil. After 30 minute raising push down the air and weigh 50 gm each of the dough and shape into a ball. Place them in a tray which is lightly oiled. Press the ball a bit down. Cover with a tea towel and keep in a warm place for raising. After 15 minutes brush each ball with beaten egg. And just give a small 2 cuts on each side of them ball. This will give you the un even shape to the buns. Let them rise now without the tea towel for 45 minutes in a warm place. Preaheat the oven to 230° c and bake them for 10 minutes. With this temperature in my oven it got a bit too dark so i might less the temperature to 200°c next time. The buns were a bit too densed, could be because I added to much chocolate or maybe my pieces were a bit too big. Next time will cut the choco pieces half. It is Carnival Holidays for my daughter from tommorow onwards for a whole week, so no blog hopping for a week, see you all after a week of holiday. This is a basic bread dough I use for making a variety of breads, especially small/big sweet breads. You can make Chocolate buns using this basic recipe. Disolve the fresh yeast and the agg in the luke warm water/milk and pour into the middle of the flour. Mix the third of the flour with the milk mixture and then add the sugar, salt and then continue mixing with the rest of the flour. Knead atleast 10 minutes , if the dough is too soft add a bit more flour. Make the dough into a ball and leave it coverd with a cloth to fermentate for 30 minutes. After 30 minutes push down the air and make into a ball again. The dough is now ready to make varius kind og bread. Same order as doing with the hand. Disolve the yeast and the egg with the luke warm water/milk. Start the machine and add carefully one third of the flour, sugar and the salt and then add the rest of the flour. Add the butter when the flour is fiully mixed. Let it mix for 6 to 8 minutes, The dough should be soft and pliable, tacky but not sticky. Make the dough into a ball and leave it coverd with a cloth to fermentate for 30 minutes.After 30 minutes push down the air and make into a ball again.The dough is now ready to make various kind of bread. My hubby canot understand when I tell him it is Mac time again. H : You just made them. M: That was last month. First day H: They taste good with the filling. Daughter : Delicous Mac, May I have few more. Third day I was planning to serve them again for coffee time. This month was Valentine. And I was delighted as I could use the colours etc... sis send for me. Not that I am to valentiene celebration. I just think the day is so comercial. Why should there be one day to celebrate. I never do anything for valentine. I just don't fall for all the phooha for this day. 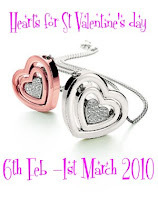 I used this burgondy colour and decorated them with silver dotts and hearts, just to go with the theme. Used the same Ottolenghi recipe like the last Mac attack. I have been sitting here and thinking what to write in my new post. And nothing comes to my mind, anyway nothing special. Ofcourse there is every day things like yesterday it was my MIL's b'day. She celebrated her 75 th b'day. She did a small party yesterday, and this saturday she is doing a dinner, which I am so so looking forward. Actually she doesn't look her age, she is really looking young for her age and she don't behave like a 75. You can talk to her, joke to her, my daughter have so much fun with her hen she goes there. And ofcourse MIL and I join up when it comes to tease FIL. If some outsiders hear us how much we tease him they will think we hate the fellow, which is not true, he just always falls for our tricks. We have not had a chinese take away for atleast 3 years. The main reason, I make a lot of chinese dishes at home and I have noticed when ever we took a takeaway we all moaned home made is better. I am sure if I was living in UK i would go for takeaway more often as I remember the chinese food thee is more delicous there then here. Chicken breast 500 gm . 1 tbsp garlic finley cut. Re Edited: I add 200ml water if you want you dish more saucy add more water but then make sure you add a bit more of the soy sauce etc for taste and also add more conr flour so that the sauce get thicker. 1. Cut chicken into serving size pieces. Coat chicken pieces lightly with flour which has been seasoned with salt and pepper. 2. Deep fry the chicken in batches. 3. Now heat a wok add 2 absp oil and sauted the onions , ginger, garlic and chillies. For few minutes. Add honey, stir for one minute. Add combined corn flour, water, chilli sauce and soy sauce. Stir untill sauce boils and thickens. 4. Add chicken , toss in sauce for three minutes ot untill chicken is heated through. Add few more sliced spring onions and serve with rice. You can see from the first picture that I have made the chicken again and posted here, actuallyI make this chicken so often these days as they are so yumm. As always the weekend just flew. Saturday we went with out daughter for SID day. It is like a food fair but then for the last year hight school kids for studies. All the Universities in Belgium is in this huge hall and all of them have a stall with what all they can learn in their place. And kids and parents could get lot of information about everything. And luck be it, Ikea was just opposite to it and ofcourse we went to Ikea and i bought few goddies for my blog. One is always surprised that one can get beautiful things for such less price. This is a kind of potato i make a a lot. Ofcoures usually I make them simple but this time i added a bit of grated parmesan. Mostly i serve them with roast chicken or some kind of schintsel. It is so easy to make and so so crunchy delicous and one use less oil that deep frying. .Bake them in the oven for 30 to 35 minutes.